Pettinhouse included Acoustic Guitar in our May 2016 goody bag. 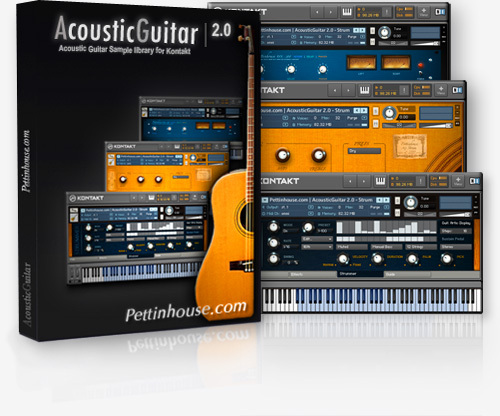 AcousticGuitar 2.0 is made up of 3 patches, Fingered, Picked and Strum. The strum patch includes an automatic strummer that enable you to create your own patterns. Pettinhouse is Andrea Pettinao, a sound designer who creates sample libraries for samplers such as Native Instruments Kontakt and Battery. They aim to create sample libraries with innovative features to help you achieve quickly the sound you need.